Travel by Plate is a series exploring food, culture and travel, from Nigeria to South America and beyond. Please welcome my friend, the wonderful Adetoun of Finding Uhuru who wrote this post. 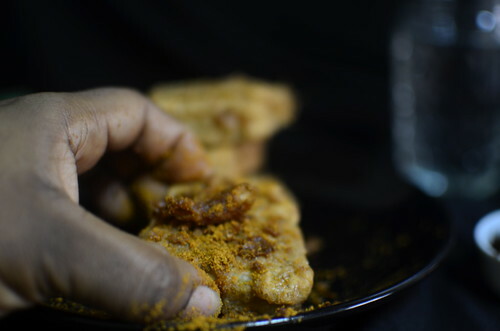 A few weeks ago, I cried out on Twitter, desperately seeking someone, anyone who’d been to Saminaka in my yaji-craze, someone who had experienced the piping hot yam, fresh out of hot oil and served with chicken, spiced and crunchy to high heavens. The rest is history. And the present – here. Now. This sparked off a whole conversation and a budding friendship. We ended up spending a Saturday together, and though we never got round to making this recipe together, her beautiful hands and company made these Egusi Devilled Eggs possible. Thank you dear for taking time to share the ‘essence’ of Saminaka with me, and assuaging my longing. I never really understood, for a long time, why I never considered any journey too great to embark upon. The times I have turned down an opportunity to travel are an almost non-existent memory for me. It was not until much later that I realised that I had wanderlust. And that was how the fates prepared me to answer a question @Kitchnbutterfly would one day ask on her Twitter Timeline, about a transit town called Saminaka. Now, I have a coping mechanism for travelling on Nigerian roads: I sleep off. I don’t know how I do it. What with the potholes and crazy commercial drivers one encounters on these journeys. However, I am always forced to wake up when the driver pulls to a stop at one of these little towns, so everyone can eat, ease themselves and stretch for a bit. This is especially the case when there is a lot of distance to be covered. Saminaka is one of the several transit towns in the north, specifically in Kaduna State. It is situated between Jingir in Plateau State and Pambegwa in Kaduna State. A predominantly muslim settlement, my first impression of Saminaka was that of a jaded traveller who has become somewhat immune to the face of poverty in her country. But even worse is the horribly bad road network. Only a dead passenger can fall asleep on that road. If pregnant women ply the route, I cannot imagine how they do not immediately go into labour. Almajiris (little begging children) and flies hold the landscape to ransom and there is a general feeling that great poverty is entrenched in that town, as is the case with several other towns in Nigeria. Yet, in all of these, I have never failed to alight from the vehicle anytime we stop over at Saminaka. You see, I have an overwhelming weakness for fried yam and Saminaka has a special brand of this delicacy. 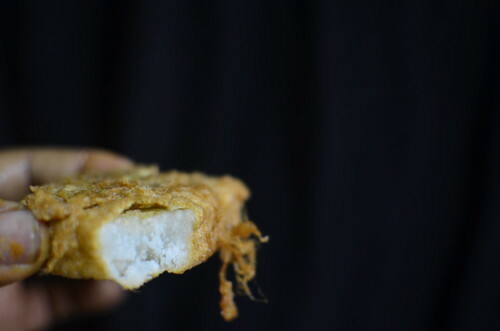 It’s called battered yam, petticoat yam if you like fancy, and Dundun-Oniyeri by the Yorubas. 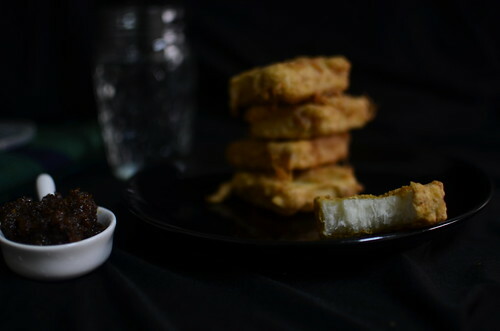 To accompany the battered yam, is uniquely fried chicken, unique because it is not the kind of fried chicken that you just season, boil and then fry. Before @Kitchenbutterfly asked me to share my experience, I’d never given much thought to how the chicken and yam turned out unique. To me, it was just some excellent meal to hold body and soul together till I got to my intended destination. So I reached out to a friend who was kind enough to explain the process to me in detail. 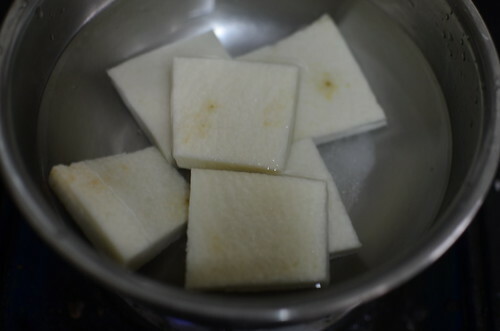 You will need – a tuber of yam, flour, eggs, seasoning cubes, yaji, oil. Add salt and the seasoning cubes to the flour and mix. Be careful to avoid over-seasoning. Coat the yam all over with the seasoned flour. Whisk the eggs and coat the yam with same. I assume the oil has slowly been heating as soon as you brought down the pot of boiled yam. Fry the yam till it turns golden. 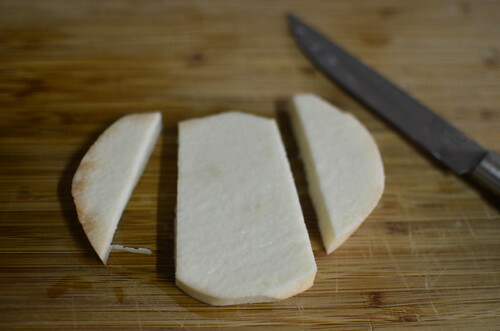 Caveat: if the oil is too hot, the egg coating will fry immediately but the yam will come away undone. You have been warned. 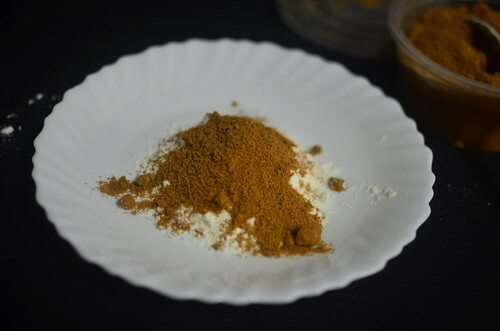 Now, the chicken; you will need – chicken (sighs), salt, seasoning cubes, yaji, all the spices you can think of to make your chicken utterly delicious, eggs and flour. Note from Ozoz: The first time I heard of Saminaka and its specialty dish of yam and chicken, my neighbour, Femi was sure it was chicken skins that were served alongside the yam. And so it was that I began to gather and keep chiciken skins just for this recipe! 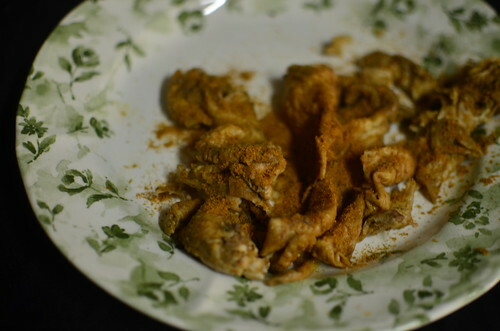 So that when ‘Toun mentioned chicken…..I went ahead and cooked ‘chicken skin’. Cut up the chicken, wash thoroughly and season. Bring the chicken to boil. 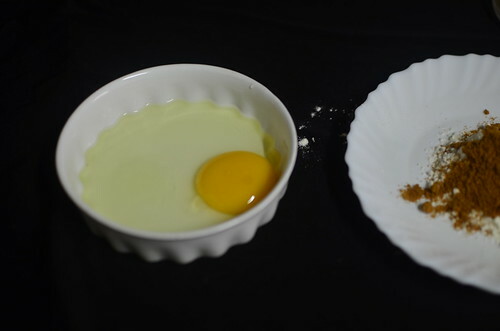 Whisk the eggs and coat chicken parts with same. You know the drill. Eat your heart out. Chicken skin, spiced and ready for the frying! There is no caveat here but bear in mind that the chicken needs to fry a little to give it some character. And of course, lots of crunchiness. 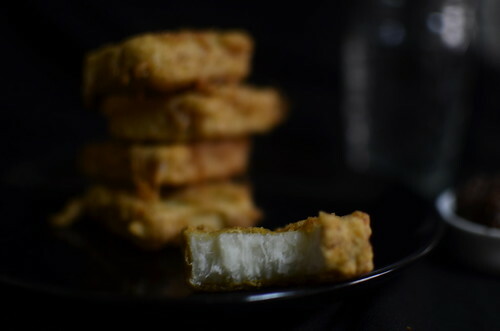 Fried yam is my happy food. Battered yam & Crunchy Chicken makes me even more delighted. 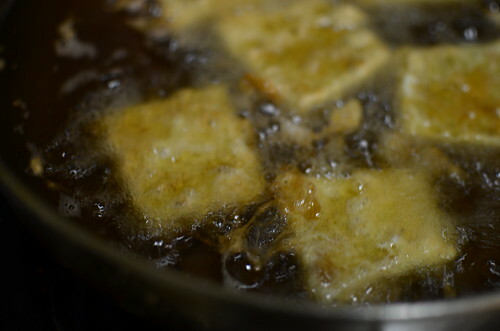 I love that they’re always fresh out of the oil anytime I’m in Saminaka because I always want my meals hot. Usually, a chilled bottle of coke would accompany this meal but I’m into calories now so I’ve dropped carbonated drinks from my diet. But forgo battered yam and crunchy fried chicken? Never. The calories can pile. Only for a day though. Nice golden coat, warming soft, creamy yam – only in Saminaka! Yaji is king. Especially when paired with elements that present a beautiful canvas. 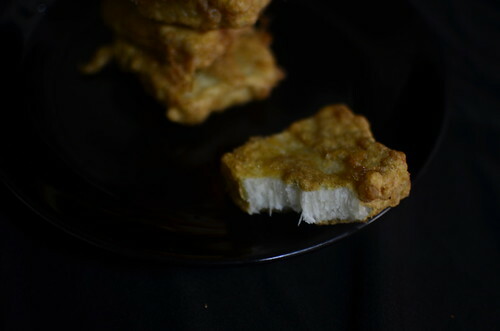 Like Fried Yam – unobtrusive, yet tasty, creamy, welcoming. 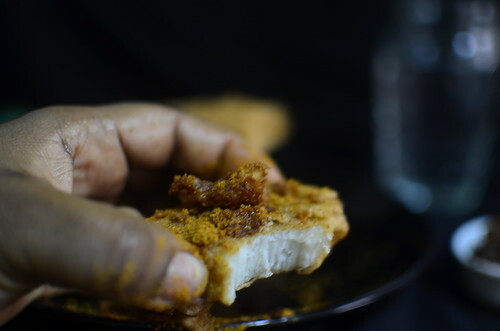 I loved the contrasting crisp and crunch from the chicken skin. Awesome…. I mean I’ve always loved chicken skin, but never considered making chicharrones of them. This recipe was spot on. Spot on in uniting Nigerian cuisine with South American. Again. And again. And again. I believe that chicken skin is going to become a big thing :-). 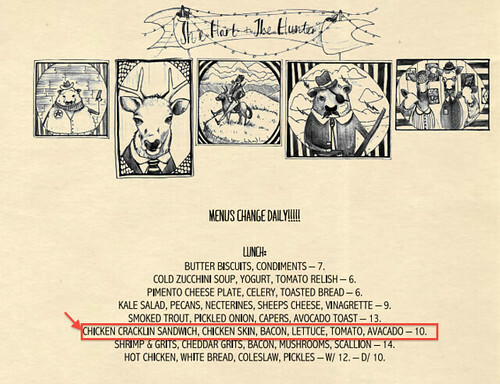 Ruth Reichl, the American food writer and the last editor-in-chief of the ‘historical’ Gourmet magazine waxes lyrical about a chicken skin and avocado sandwich she had at The Hart and The Hunter – a restaurant, in a blog post ‘A Few More L.A. Tastes’. The ‘Chicken Crackin Sandwich’ is like a BLT (Bacon Lettuce Tomato) sandwich but more – it has both Chicken Skin and Avocado! So yes, chicken skin totally rules my world. I was quite surprised that the dish ate well without a sauce – it didn’t need it at all. The yam probably due to it being parboiled was soft, the chicken skin provided the crunch and the yaji with its nuanced flavour brought it all together with the zing of spice and a little welcome heat. Thank you dear ‘Toun for your help. Social media can be used for #socialgood – learning about cuisines and sharing is exactly that – #socialgood! Follow ‘Toun on Twitter – @kinffeosi and read some of her wonderful stories on her blog, Finding Uhuru (Uhuru means Freedom in Swahili).